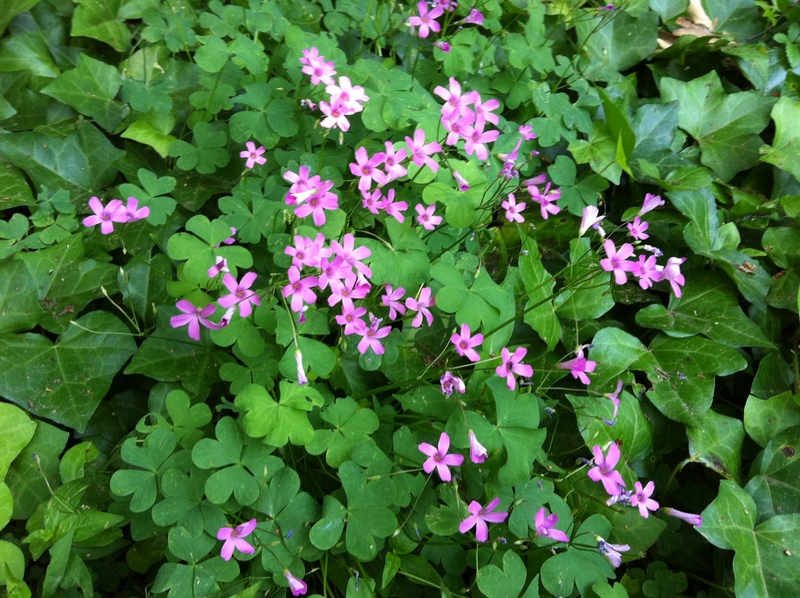 These are wildflowers in Tanyard Creek Park that bloom every May. I have many walks in my neighborhood. Do you have a favorite place to walk? I have seen foxes, hawks, little children on the slide, a ball caught up high in the top of a tree, dogs rolling in mud puddles. Taking a walk puts everything in perspective. I love these wildflowers and every spring when they come out I swear I want to make a flower essence from them. I use flower essences from all over the world in my healing practice. These flowers speak to me of hidden beauty – the kind of beauty you have to take a moment to notice and appreciate. Taking a walk is good for my soul.